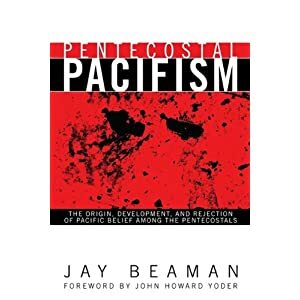 In his book Pentecostal Pacifism, Jay Beaman’s states that 13 of 21, or 62% of American Pentecostal groups formed by 1917 show evidence of being pacifist sometime in their history. Below are some examples. We believe the shedding of human blood or taking of human life to be contrary to the teaching of our Lord and Savior, and as a body are adverse to war in all its various forms. Walter J Hollenweger, “Black Pentecostal Concept,” Concept Journal, special issue no. 30 (June 1970) pp. 27-28. If any of our members should in any way advocate war, or try to persuade any of these registrants to go on to war, or urge or enthuse them into a desire to fight, such members will be considered disloyal to the Church and alas to the Church of the Bible, and a continuance of the same may lead to the necessary action (expulsion) under our laws and principles. The Weekly Evangel (which changed name back and forth to “The Christian Evangel”, today it is called “Today’s Pentecostal Evangel) was the magazine of the Assemblies of God, the largest Pentecostal denomination in the United States (Note that most of the following texts are written between 1914 and 1918, that is, during World War I). From the very beginning, the movement has been characterized by Quaker principles. The laws of the Kingdom, laid down by our elder brother, Jesus Christ, in His Sermon on the Mount, have been unqualifiedly adopted, consequently the movement has found itself opposed to the spilling of the blood of any man, or of offering resistance to any aggression. Every branch of the movement, whether in the United States, Canada, Great Britain, or Germany has held themselves to this principle. When the war first broke out in August of 1914, our Pentecostal brethren in Germany found themselves in a peculiar position. Some of those who were called to the colors responded, but many were court marshaled and shot because they heartily subscribed to the principles of non-resistance. Great Britain has been more humane. Some of our British brethren have been given non-combatant service, and none have been shot down because of their faith. “The Pentecostal Movement and the Conscription Law,” The Weekly Evangel, 4 August 1917, 6. “The Crisis,” The Weekly Evangel, 21 April 1917, 7. The nations [should have]….spread the Gospel of Peace and made known the rule of Jesus…. ‘the King of Peace’ instead of obeying the ‘traditions of men’ and preparing big guns, air craft, rapid firers [sic], submarines, a big navy, and bigger army for the destruction of human life. “Tithes and Free Will Offerings,” The Weekly Evangel, 10 July 1915, 3. The Pentecostal people, as a whole, are uncompromisingly opposed to war, having much the same spirit as the early Quakers…. Indeed, some have already urged us to arrange for a great peace council among the Pentecostal saints, to put ourselves on record as being opposed to war at home or abroad. The Gospel Publishing House is now in possession of a powerful book entitled, “Blood against Blood,” written by Arthur Booth-Clibborn, an English Pentecostal brother who has been the means of a glorious ministry in Germany before the opening of the war. We recommend that you purchase it and become imbued with the spirit of its contents, in complete opposition and protest against war and the shedding of blood. “Pentecostal Saints Opposed to War,” Weekly Evangel, June 19, 1915, p. 1; Weekly Evangel, July 10, 1915. A most striking, realistic and forceful book by Arthur Sydney Booth-Clibborn, an English Pentecostal Evangelist and Elder who has put into words the principles burning in the hearts of all the Pentecostal saints on the subject of whether a Christian should go to war or not. This book presents war from a Christian standpoint and is not intended for those out of Christ. Should the United States go to war with Germany what will be the attitude of the Pentecostal people. Send for a copy of his wonderful book make a decision. “Blood Against Blood,” The Weekly Evangel, 3 July 1915, 3. “Blood Against Blood,” The Weekly Evangel, 10 July 1915, 3. Arthur Sidney Booth-Clibborn was one of the leaders of the early Pentecostal movement in England and grandson to the founder of the Salvation Army. He wrote the strongly pacifistic book “Blood Against Blood”. The worldling knows only one kind of brotherhood– that in Adam. The Christian knows two, that in Adam and that in Christ. In war the worldling denies one kind of tie in killing his fellow-creature; the Christian denies two kinds–he kills his fellow-creature and his fellow-Christian. Besides, the former has ever a “field” (a battlefield), open to him which the latter has not: He can sacrifice his life as a missionary, and, if needs be, as a martyr, and “sow himself” thus a seed of righteousness and life-producing life rather than as a seed of sin and death-producing death, which every sacrifice of life on the carnal battlefield inevitably is! Arthur Sydney Booth-Clibborn, Blood Against Blood, 3rd ed. (New York: Charles C.Cook, 1914). Clemens of Alexandria spoke emphatically in the same sense. Origen, Ambrose, [Irenaeus], Chrysostom, Jerome and Cyril gave it also as their several opinions that it was unlawful for Christians to go to war. Arthur Sydney Booth-Clibborn, “What is War?” The Weekly Evangel, 21 April 1917, 2. Samuel H. Booth-Clibborn, “The Christian and War. Is it too Late?,” The Weekly Evangel, 28 April 1917, 5. For over twenty years we have seen these present wars coming and it has been as real to us as it is now. All this time we have taught that true Christians must not fight for “he that taketh the sword shall perish with the sword….” It is hard for those who sincerely believe that we are nearing the end of this age and the shedding of blood to be of no avail, to fight for the perpetuation of these nations, which we know will fall as the Gentile age will close and the millenium come, when the nations of the world shall become the kingdom of our Lord and Savior, Jesus Christ. Sarah T. Parham, The Life of Charles F. Parham (Joplin, No. :Tri-State Printing Co., 1930), pp. 273-274. To Murder a fellow creature! To receive therefore even less than thirty pieces of silver, and perhaps live to receive the plaudits and honor of a more cowardly country and imbecile nation; for that nation is imbecile which retains its existence through out the struggling exploits of war. We hang our heads in shame to see Christian nations of the Moloch-God, Patriotism, whose principal doctrine was honor (? 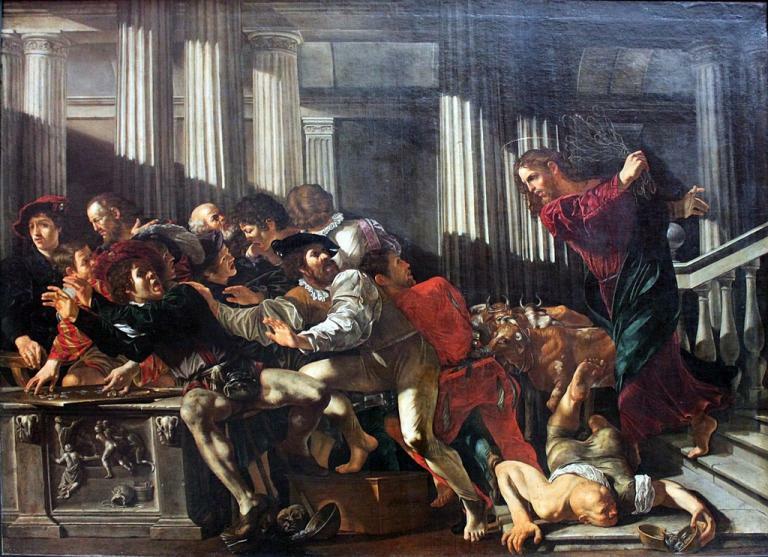 ), there to have consumed in that death struggle the feeling of philanthropy and humanity; spending millions to build the fires for the consummation of these virtues, while the cause of Christ languishes, heaven loses, hell opens her jaws, and so-called Christian nations feed (by war) to satisfy her gluttonous appetite. How much more far reaching the influence would be, for time and eternity, if nations and individuals could really become imbued with the teachings of Jesus, whom they profess to follow, and spend the millions and the men in the world’s evangelization. Yet, while thousands of men will volunteer and suffer the hardships and privations of an earthly war for glory, few, indeed, will volunteer and endure the slightest privations for the Master’s kingdom and eternal glory. Where is your faith brethren? Charles F. Parham, The Everlasting Gospel. Frank Bartleman was born Dec. 14, 1871, and died Aug. 23, 1936. As an Author, Evangelist, and Missionary, he was very influential in the early Pentecostal revival. The War Church is a Harlot Church! Frank Bartleman, “War and the Christian,” circa 1922. Frank Bartleman, Christian Citizenship, (Los Angeles: Author, n.d.) 2 pages. Ambrose Jessup Tomlinson (1865-1943) was the first general overseer of the Church of God of Prophecy. A.J. Tomlinson, “Days of Perplexity,” Evangel, 26 Jan. 1918, p.1. The church…objects to its members going to war. A.J. Tomlinson, “The War Draft,” Evangel, 2 June 1917, p.2. My interest in politics vanished so rapidly that I was almost surprised ay myself when campaign year came around and found nothing in me craving the ecvitement of conventions, rallies and public speakings. I was so taken up with Jesus, and so bent on electing Him, that one day as I was walking along the road two gentlemen met me and shouted out just like I had usually done, “Hurrah for M—-!” With hardly a thought, and no premeditation, and yet with real enthusiasm, I shouted back to him, “Hurrah for Jesus!” He was so startled and amazed that as he rode on and looked back at me he looked as if he wondered if I had just escaped from the lunatic asylum. 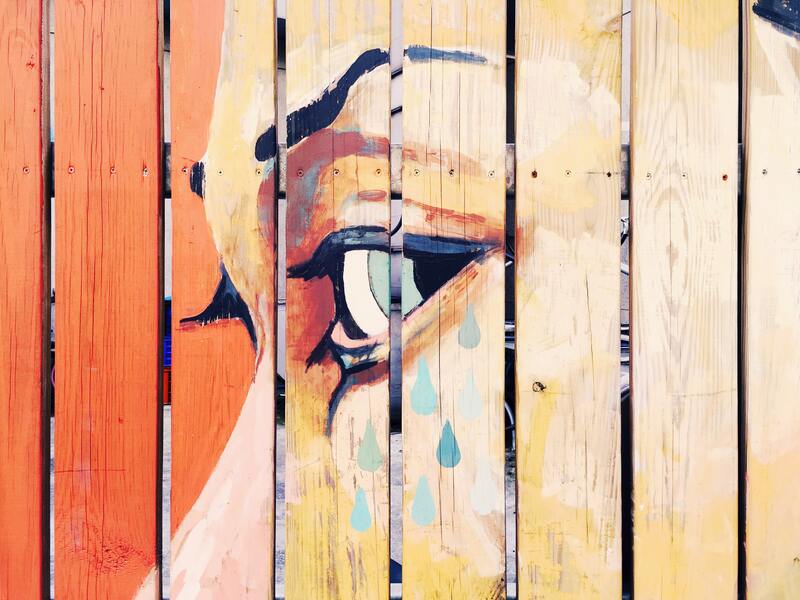 But he sad no more, and went on. 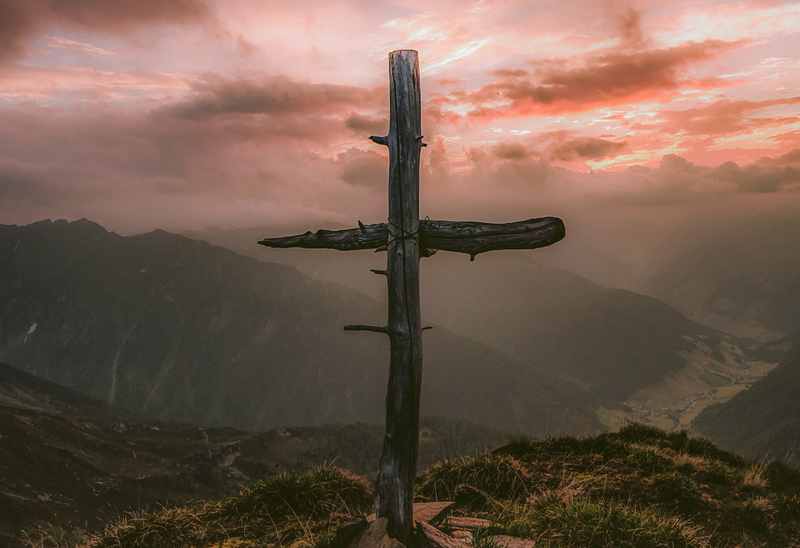 My friends and neighbors begged me to at least go to the polls and vote, but I said, “No, I will only vote for Jesus.” Their kindness, their friendship, their entreaties and reasoning had no more effect on me than if I had been in another world. I was dead to the world and the world was dead to me. I never have taken any part in politics since, nor gone to the polls and cast a ballot. Stanley Frodsham was a famous Pentecostal writer and a friend to the famous Pentecostal evangelist Smith Wigglesworth. In 1920 he became the editor of the Pentecostal Evangel. The world, especially the religious world, has no use for the children of God, but the Lord taketh pleasure in his people. . . . It is important for the saint of God to remember that his citizenship is in heaven. Stanley H. Frodsham, “Our Heavenly Citizenship,” The Weekly Evangel, 11 September 1915, 3. Burt McCafferty was a Pentecostal evangelist who responded to an article in the Evangel that supported Christian participation in World War 1 (“Is European War Justifiable?,” The Christian Evangel, 12 December 1914, 1-2 – that was by the way the only article in the Evangel which supported Christian warfare between 1914 and 1916). We are not contending with flesh and blood. Our warfare is waged against the host of spiritual darkness. Our armor is not the spiked helmet, the suit of mail, etc., but the helmet of salvation, the shield of faith, and the breastplate of righteousness. Our feet are not “swift to shed blood,” but are shod with the preparation of the Gospel of peace. I Thess. 5:8. Eph. 6:11, Oh Christian, “put up thy sword into his place, for all they that take the sword shall perish with the sword. Matt. 26:52. In Luke 22:49, the disciples asked Jesus, ‘Lord shall we smite with the sword?’ They prayed, but, instead of waiting for an answer, one immediately drew the sword and went to battle…. Let us wait for an answer from God. Let us not begin to reason from the natural point of view…. What was the answer of Christ to the disciples (Christians) to this question? (Matth. 26:51) ‘Put up again they [sic] sword into his place.’ This is what God is saying to the Christian of today, ‘Ye followers of the Prince of Peace, disarm yourselves’ for ‘the weapons of our warfare are not carnal.’ (the musket, sword, siege gun or cannon). 2 Cor. 10:4. Jno. [sic] 17:16. Our citizenship is not of this world, our citizenship is in heaven. Phil. 3:20. We belong to the Kingdom of God and the Kingdom of God and the kingdoms of this world are not allied…. Christians are separate from the world and are subjects of God’s kingdom, a kingdom of peace…. Burt McCafferty, “Should Christians Go To War?” The Christian Evangel, 16 January 1915, 1. For more quotations and information about Pentecostalism’s rich pacifist heritage, have a look at the various books in Wipf & Stock’s Pentecostalism, Peacemaking and Social Justice series.